Did you know we also do wedding videos? 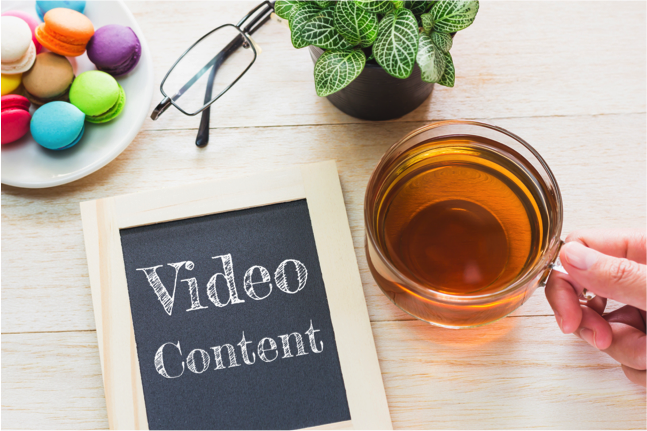 Video content has come into its own with the digital revolution and the exciting developments in online marketing and social media. And that means it provides an incredibly cost-effective method of marketing to promote your products or services to your target audience – whether that be customers, stakeholders, clients, influencers or funders. YouTube is the world’s second most popular search engine. We have all trawled through videos on there – and, of course, it is free to access. Suddenly, you have opened up your product, service or message to a potentially global audience. If you are a Facebook user, you will also have spent many hours being entertained or informed by videos posted on that social media outlet. Some videos end up going viral because they are shared thousands of times. And by the time we start to add in Twitter and LinkedIn to the online social media marketing mix, you start to get a sense of the potential audience reach for your video. But there are other benefits of video over and above social media and online postings. The right kind of video can be used for business presentations, exhibitions, seminars or staff presentations. Some companies choose to have their corporate video playing in reception areas to welcome visitors and introduce them to the company’s values and product range. There is also the opportunity to use video clips on your website and tease your target audience with video inclusion on e-shots and e-newsletters in a bid to drive them back to your website and thus towards your marketing message. It is not the video in itself which improves your business, but the way in which you use it to create maximum value. A professionally shot video with the right messaging and emphasis can be a hugely compelling PR and marketing tool. The key is to think carefully about the objective and ensure that the script, the emphasis and the finished version truly delivers to your target audience. Generic videos without a story line tend to be featureless ‘wallpaper’. So make sure you use a videographer who listens, puts together a clear storyboard, and understands the kind of environments in which you want to use the finished piece of film.